Are you preparing for the forthcoming audition of American Idol, X Factor or other singing auditions? 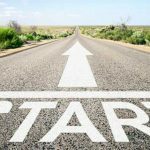 Are you worried about how to get started? Does song selection bother you? Well, let’s find out how you can prepare yourself on how to select the suitable songs. Why Is Song Selection So Vital in Audition? One of the important aspects to remember while preparing for a singing contest is song selection. The song selection is perhaps the vital step to participate in any contest because perfect selection gets you selected. You must select those songs which appeal to the judges’ senses. You must try to give your best and stun the judges. You should choose those songs which reflect your personality. Then surely you are going to pass the initial barrier. The best thing for you to do if you’re not a songwriter who can sing your own written songs is to render songs that are created by other artists known as cover songs, but be careful in choosing the right song. Lack of original songs will not really affect your singing profession, but picking the wrong cover song could destroy your career eventually. In selecting the appropriate song, assess your voice to determine its difference with other singers. Some of the large singing competitions such as American Idol is a very competitive contest and requires lots of hard labor to cross the initial barriers. The audition rules also change every year. So not only you take proper preparation but also keep a close eye on different aspects like audition rules and other formalities. One the best ways to keep yourself updated is to browse its official website and collect all the detailed information. The risk here is that when you sing a song which was made famous by a celebrated singer, you tend to be compared to that singer by the audience. There won’t be any problem at all if you can handle that song very well. However, if you’re not very sure that you can perform exactly like the singer, it would then be best for you to sing it differently. Most of the famous songs have been over-used in singing audition repeatedly. And they are no more excitement for the judges as the identical songs repeatedly perform many audition candidates unless you can really wow the judges with your unique version of the song. Be aware of public perception when you choose a song. When you choose a song that is popular, the audience will have a certain expectation for that song. “The Rose” will always be Bette Midler’s song. However, just because it is her song doesn’t mean you can’t sing it as well. You have two choices when you choose a popular song: sing it with the same passion as the original, or change it, so it is vastly different than the original. Never sing a weaker version of the original. While copying other artists at the start of your singing career will help you grow as a singer, at some point you have to break away to become a great singer in your own right. Become your own artist by learning about music history. No matter what genre of music you sing, there is sure to be a history of great singers who started it all and can help your talent. Each singer has a different voice even referring to big-time singers. Some of them concentrate in power while others possess a sultry, smooth quality of voice. Those having a heavy southern accent prefer country songs, while people who have been trained in classical voice commonly choose Broadway or opera songs. The trick here is to pick a song that seems realistic when you sing it. For example, it will not be realistic if a 13-year old girl would sing a song related to a cheating spouse. On its flipside, it would be awkward if a 50-year old guy would sing a song about the teenage crush. Remember that in choosing the right song, it’s not recommended to choose the type of songs that you love to sing. Among the singing tips for song selection, a tricky one is to select a commanding song which speaks for you. Select something extraordinary which the judges have never heard before. It can enhance your chances of selection. Sometimes it may backfire. Another critical factor is that your performance should reflect your personality. As if you have a raw attitude, then you must choose an energetic number. 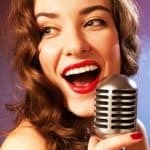 Search for songs that are suitable for your voice and vocal ability that can make you comfortable in singing, and where you can utilize your energy in rendering a great performance. Based on your evaluation, if you possess a low, soft voice, it would be difficult for you to sing the song entitled “The Voice Within” by Christina Aguillera, but mind you, if you sing Realize by Colbie Caillat, you’ll be amazed that it suits your voice perfectly. Try it one day; be smart in choosing the right song that fits your voice instead of picking one that you’re fond of listening to, or a song that you aspire to perform one day. Besides these, you must also take notice of the fact that the songs chosen by you are easy to you. If you do not feel comfortable with a particular song, never go for it. Choose songs which you can sing with maximum expertise. Never try a difficult song, or those are out of your range. No judges are going to wait more than 3 minutes for you to enter the chorus or peak moment of the song, not even me. Most auditions will specify the allowed performance duration for every candidate, just because there are hundreds of candidates like you still waiting outside the audition room. You can choose the songs that are pretty fast to jump into the choruses or the short songs that able show your vocal talents and your best singing skills to the judges when you started to sing. The songs shouldn’t be too short, But, with the adequate length to showcase your vocal potential. Alternatively, you can also rearrange the song and arrange the highlight / the best part of the song to the beginning of the song. The judges will praise for your creativity and bravery. And at the same time, you will be able to show off your musical and singing talents too. Every different auditions and judge might have their own preferences of songs and singers which specific types of singing skills or talents. You should do some homework to research and analysis the singing styles and song selection strategies of the contestants and winners from the previous sessions. I’m sure you will be able to the patterns and preferences of songs that are more favorable by the particular auditions or judges. Furthermore, the background, experience, singing genre and singing style of the judges are some of the fundamental factors you should take into consideration in selecting the best song to sing that particular audition. Try to find out the primary purposes and objectives of the singing competitions or auditions, and adapt yourself to it. You will notice that you feel relax and comfortable on stage which is well appreciated by the audience as shown in their loud applause. Of course, no one would listen to a singer who shouts or howls on the parts of the song that has a high pitch. It is so bad that you had chosen the wrong song just because the singer loves it even if she knew beforehand that it requires a high range of voice. And you must be comfortable and capable of handling the songs that you are going to perform. The audition is just a beginning of the game; you should think ahead and plan the song selection strategies you are going to implement down to the road during the competition and the final if you are able to get through the final.